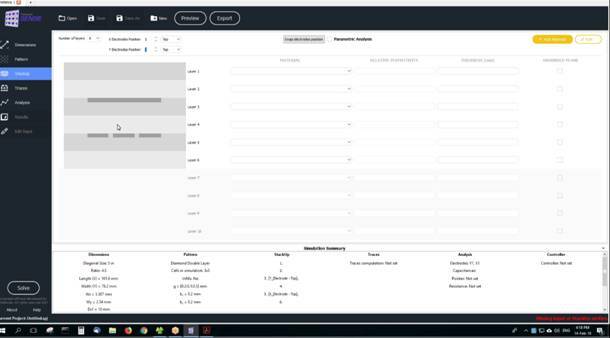 Simulation software provider Fieldscale has announced a substantial update to SENSE, its automated touch sensor simulation platform. Fieldscale SENSE is targeted at IC makers, touch screen manufacturers and developers of touch sensor products and promises to streamline product development and reduce costs.We recently got a demo of Fieldscale SENSE v3 to see the new update in action, and here’s what you should know. First off, let’s talk about Fieldscale’s mission statement: The simulation company has a unique goal for its products, which CEO Yiorgos Bontzios refers to as the “democratization of simulation.” Essentially, its goal is to make the process of simulation as easy and accessible as possible, so you don’t need to be a domain expert to get the results you need. 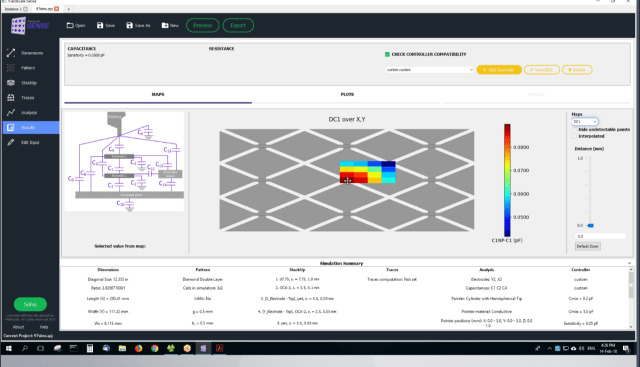 Enter Fieldscale’s platform of application-specific simulation software, of which SENSE is the flagship member. According to Bontzios, capacitive touch sensor technology isn’t as mature as it seems. Despite the abundance of touch sensors around us (and many more to come, for example, in the increasingly smart automotive market), there remains a need for simulation software like SENSE to help engineers verify their designs. But again, SENSE is designed to be as easy as possible for users, without compromising simulation power. Even non-engineers should be able to make use of the software, as it has a minimalist user interface with straightforward parameters. 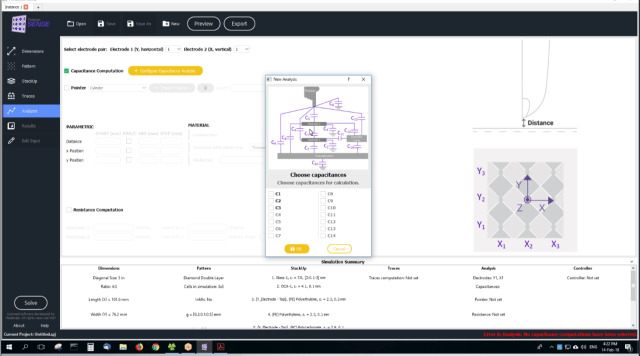 When you start up the program, you only have two options: You can start a project with SENSE’s library of fully parametrized model geometry, or you can create a project using custom model geometry. The first tab you’re presented with is for dimensions, where you simply input the dimensions of your touch sensor. A clear visual accompanies the input fields, so you really can’t help but know exactly what you’re defining. 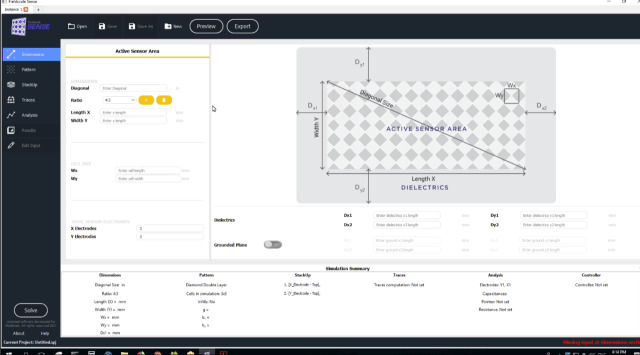 Next, the Pattern tab lets you define the geometry of your touch sensor cell in exactly the same intuitive way as dimensioning. SENSE even lets you input a range of values for a parameter, and after simulation, it will tell you which value is best. Fieldscale SENSE’s Pattern tab. (Image courtesy of Fieldscale). The StackUp tab lets you define the layers of your sensor and once again provides a clear visual indication of exactly what your sensor will look like. Users can change the materials and positions of all layers, and layer values can also be set to a range with a very simple loop-like syntax. Next up is the Traces tab, where users can add and import traces. Once again, SENSE provides users with a labeled diagram, so you know exactly what you’re defining. The last step is to choose your analysis parameters, and you’re ready to start the simulation. Depending on the configuration of your sensor, the simulation will take between 5 and 20 minutes. It can be solved on premise or on Fieldsense’s cloud servers. Fieldscale SENSE’s Analysis tab. (Image courtesy of Fieldscale). All that’s left to do is review the results of your simulation, which Fieldscale claims are accurate to within 3 percent.You can view the results in SENSE or export them into a CSV or PDF. Another unique feature of SENSE is that you can check compatibility with controller specs to find the best controller for your sensor, a feature that Fieldscale claims is unique to SENSE. 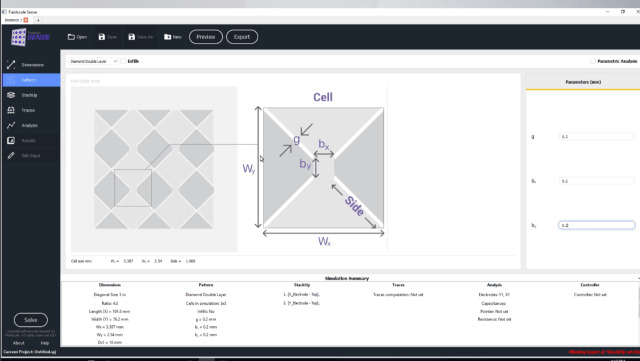 Fieldscale SENSE also solves complex metal mesh patterns, and the company claims this is the only software that can do this for large touchscreens. Despite the simplicity of SENSE simulation, Fieldscale claims the software is as satisfying to experts as it is to beginners. Learning SENSE doesn’t take much more than a day, according to the company, so users of all experience levels should be able to get up and get running quickly. To learn more about Fieldscale SENSE, visit the Fieldscale website.